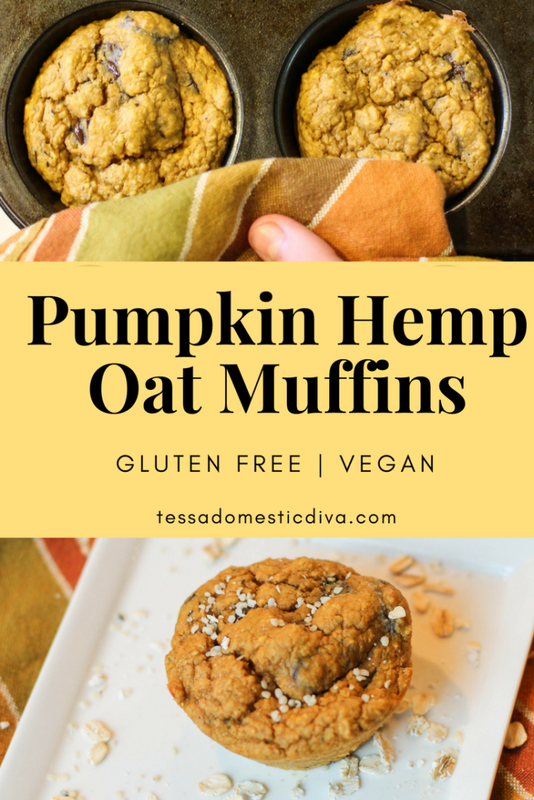 A wholesome gluten free pumpkin muffin with the addition of hemp hearts and oats all done in the convenience of a food processor! As an added bonus, they are free of dairy and eggs too if you choose! I never imagined this recipe would quickly become a favorite of every member of my household. Invariably, one loves something and the other won’t touch it….typical kids!! I have tried to learn to have ZERO expectations and whatever they decide, they decide. But a wholesome gluten free pumpkin muffin is such an easy snack if I CAN find one they all enjoy. Aren’t kids good for teaching us things (frowny mom face, grr!)??! But these wholesome muffins get scarfed down so quickly by every member of the house. I love that they are low in sugar and high in fiber. My kids and husband however, like that they taste good…the health part likely NOT their top priority (SHOCK!). New to hemp seeds or wondering how to cook with them? I like to add hemp hearts to my recipes for their great nutrition. High in fiber, healthy fats, and omegas. Here is an article that will convince you to add more of these tasty seeds anywhere you can!! They are super simple to throw into any baked goods…whole, or ground into a powder with a blender or food processor (like here!). They are nice and soft, so they blend very easily into a flour like powder. Whirred in your blender to make hemp milk! My friend Alisa @ Go Dairy Free has a hemp milk recipe you could try! 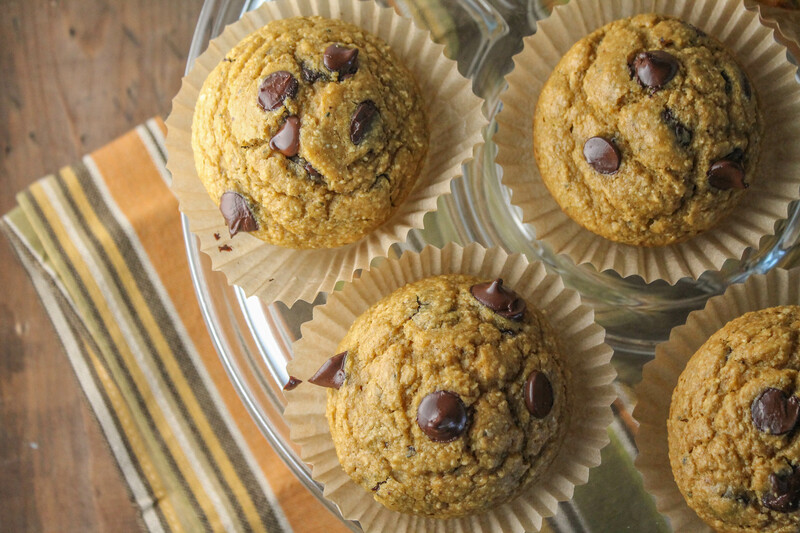 Go ahead moms, see if your family wolfs these quick wholesome gluten free muffins down as fast as mine! If you would like more wholesome muffins, here are some you could try! 2 cups gluten free rolled oats I love these oats as they are raised on a small family farm, are affordable, and are organic too! Mix the milk of choice with the vinegar and set aside to curdle a bit. Preheat oven to 350 degrees, and prepare 11 muffin tins with grease or liners. In the bowl of a food processor (I LOVE mine and use it all the time! ), place all the dry ingredients and process to a fine powder. Pulse in any add ins you prefer. Fill muffin tins 2/3 full, and bake in a preheated oven for 15-18 minutes. Tops should be set and not squishy. Any of the links in my posts may be affiliate links. If you click on them and make a purchase, I might make a commission. Your support is much appreciated and pays for the cost of running this free resource! I made these and trying to figure out what I did wrong. For some reason I couldn’t get them to cook all the way through and they were still gooey inside after 40 min. I added applesauce in place of the eggs plus 1/4 cup of water. Was I reading that wrong? Let me know if I can be of more help. This is my favorite kind of grab and go breakfast! And I bet all your suggested add-ins make them extra special! This is a winner for the whole family! Ooh I would definitely add the chocolate chips into these! 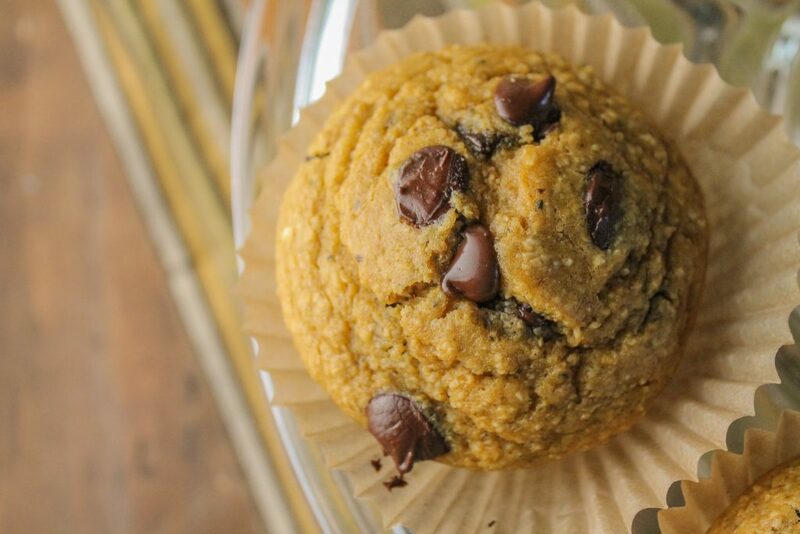 Love the combination of chocolate chips + pumpkin. These would make a great brekky on the go! This is my ideal breakfast on the go. Love that there are chocolate chips in them too! There is so much good stuff in these muffins, like pumpkins and hemp! I am hungry now. And umm, how pretty they are! So delicious and full of nutrients. I need to make some of these for my son! What kid or grown-up wouldn’t love these! 🙂 Yay for egg-free and chocolate chips! These look delicious! And I love that the batter comes together in the food processors. So easy and simple! linda spiker recently posted…Salted Caramel Pecan ‘No Churn’ Ice Cream! I love the convenience of whipping these up in a food processor! 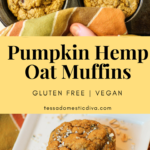 Oh wow do these oat and hemp muffins look delicious! And I love the mix-in options. Chocolate chips would definitely be my family’s favorite. These look so good Tessa!!! I can’t wait to make them!!! Can’t wait to hear your feedback Cassidy! Make a great breakfast, they’ve been scarfed down all times of day here! Can’t keep them in stock!! Get my 30 Minute Meals e-book free and tons of easy, healthy recipes delivered straight to your inbox! Welcome, I am happy you are here! 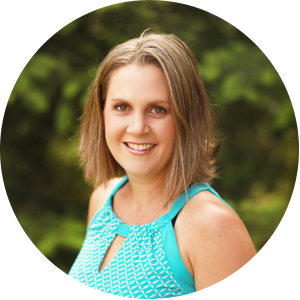 My name is Tessa, I am a momma and former teacher who learned to cook allergy friendly foods when her third kiddo needed it. Real food is my obsession. Gluten free, dairy-free, vegan, Paleo, and keto recipes for families. Read More About Me An My Family’s Real Food Allergy Journey Here. Copyright © 2019 Tessa the Domestic Diva. Site Design by Pish and Posh Design Studio.